RAPID CITY, S.D. 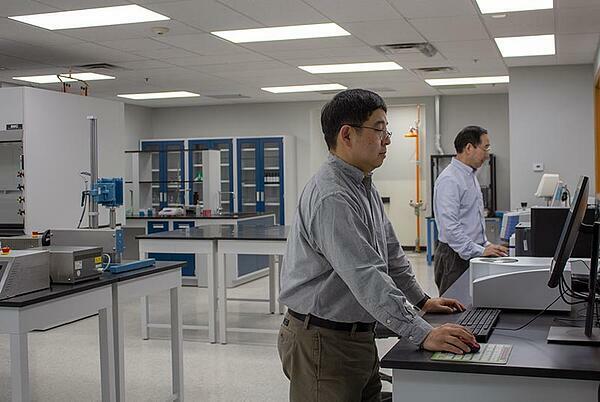 (March 28, 2019) – B9Creations, a global provider of 3D printing solutions, and SDC Technologies, a market leader in premium optical coatings with applications ranging from NASA space helmets to Anti-Fog commercial refrigeration doors, announced today the opening of a brand-new state-of-the-art additive manufacturing materials development laboratory at B9Creations’ Rapid City headquarters. 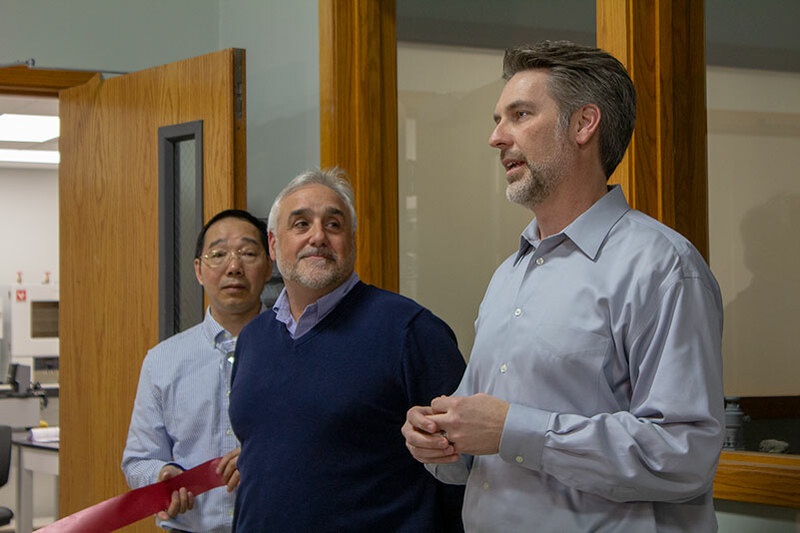 B9Creations CEO Shon Anderson was joined for the grand opening by the SDC Technologies team including CEO Antonios Grigoriou, VP of Technology Sapna Blackburn, Principal Scientist Dr. Charlie Chen and Senior Polymer Scientist Dr. Sung Yoon, some of the new lab’s first employees. “This partnership pairs SDC Technologies’ global leadership in coating materials development with B9Creations technological capabilities to bring additive manufacturing and engineering materials to new applications worldwide, at an aggressive pace in keeping with both companies’ history as innovation engines,” said Shon Anderson, B9Creations CEO. The holder of hundreds of global patents, SDC Technologies is a world leader in the development and manufacturing of premium high-performance abrasion, chemical, and impact resistant innovative coatings for application to plastic, glass and metals. Its optically clear products add best-in-class performance and durability to Vision Eyewear as well as Automotive and Aeronautical products, ranging from windshields and bulletproof glass to heads-up displays. Additional applications span military and security fields, electronics displays and sports eyewear. B9Creations provides 3D printing solutions in high-precision applications such as jewelry, prototyping and manufacturing, research, medical devices and model making. It serves customers and dealers in 66 countries worldwide and manufactures the world’s only 3D printer built to medical laboratory device specifications. “The lab establishment at B9Creations demonstrates SDC’s intent to provide “ink” formulation know-how to combine with the software and hardware aspects of 3D print machines. We know that with B9Creations, we have the right partner to develop engineering solutions to meet changing market needs across several developing 3D print markets,” said Antonios Grigoriou, CEO of SDC Technologies. The new materials laboratory is not only sparking commercial innovation, it’s driving the local economic development engine, as well. Headquartered in Irvine, California, SDC Technologies already employs photopolymer chemists and research assistants at the South Dakota-based lab, along with hiring graduate students from the South Dakota School of Mines & Technology. SDC Technologies is a wholly owned subsidiary of Mitsui Chemicals, the same Japan-based company that acquired a minority stake in B9Creations in 2018. Founded in 1986, SDC Technologies is the recognized market leader in the development and manufacturing of premium and abrasion, scratch, and chemical resistant coatings, powered by innovation and delivered at stealth speed to help customers maintain a competitive edge. Find them online at sdctech.com.